These are 12mm round shaped beads. They are 48 inches in length. 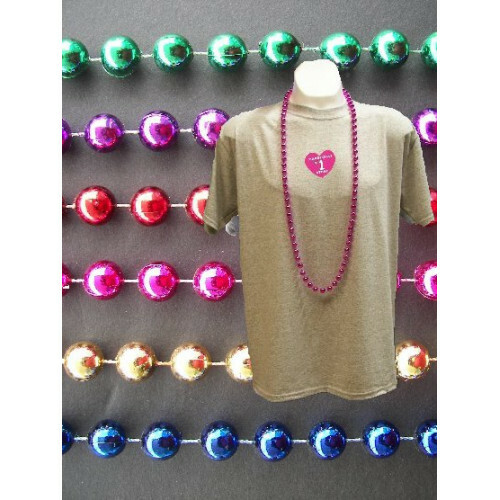 4 dozen assorted colored party beads in every bag.